Unless otherwise exempt, a Maryland resident must possess an HQL before he/she may purchase or receive a handgun unless there is an exemption for the resident or the handgun. Active law enforcement officer or retired in good standing. Federal Law Enforcement, the State of Maryland, or local MD law enforcement. Active or retired member of the United States Armed Forces or National Guard, who presents a valid military ID. A person purchasing or receiving an antique, curio or relic as defined in federal law. Unless you are exempt, you will need to attend a 4 hour training class. 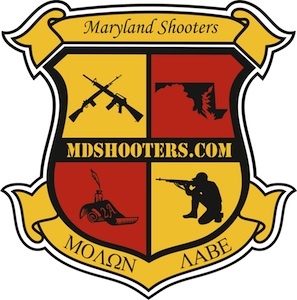 Firearms safety training course approved by the Secretary of the Department of Maryland State Police. Has completed Maryland Department of Natural Resources Hunter Safety Course Certificate. Honorably discharged member of the US armed forces or National Guard. Owns a regulated firearm, registered with the State of Maryland. Duffy’s does not provide that class, but a list of additional certified trainers is available on the MD State Police website. You will need digital LiveScan fingerprinting, available from many private companies. Let them know you need LiveScan for the HQL. The last step is to complete the application. It is only on the Maryland State Police Website. You will need to use Internet Explorer. Once you’ve submitted your application, you will be able to log back into the website to monitor the progress. It may take them up to 30 days to complete their checks. It will take a few days to mail you your card, once they’re done.